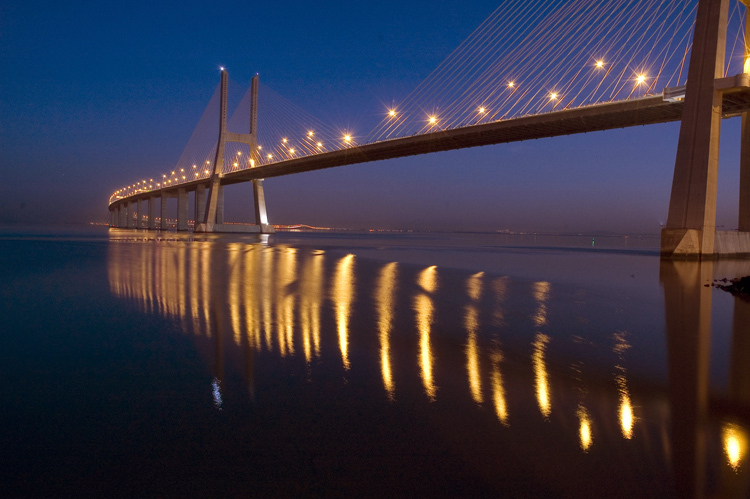 New Vasco da Gama Bridge of Lisbon spans River Tagus riversides. Portugal. Tripod help and aperture priority 13, RAW file. THANKS A LOT, TATYANA, HAVE A NICE 2011. Your picture is really like me! Night types always beautiful and colourful! Sua imagem &#233; realmente como eu! Noite tipos sempre bela e colorida! Wonderful nocturnal view! Beautiful reflections! Big hug, dear Svetlana! and thanks!